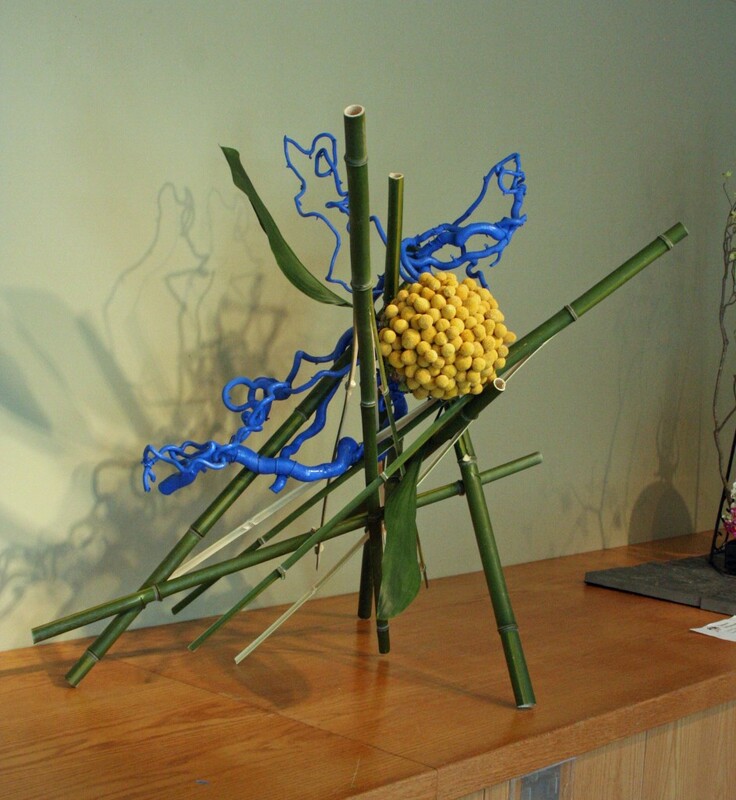 Today the third and last exhibition installation of ikebana by the Washington,DC Chapter of Ikebana International opened at the U.S. National Arboretum. 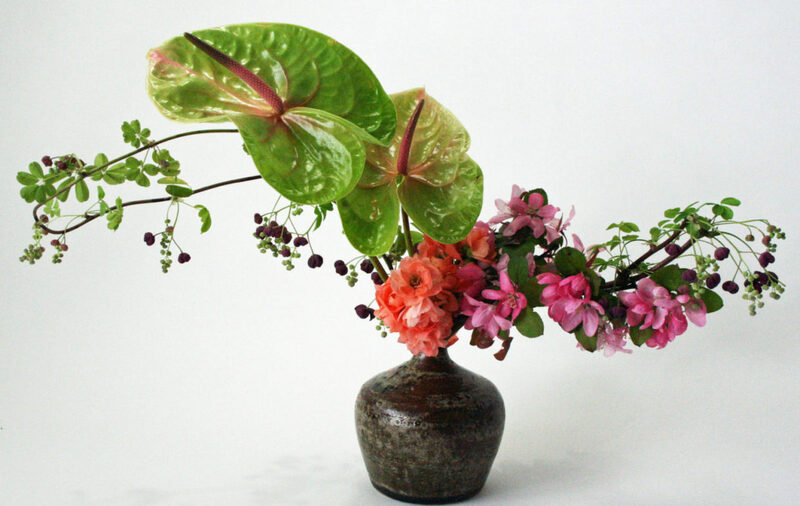 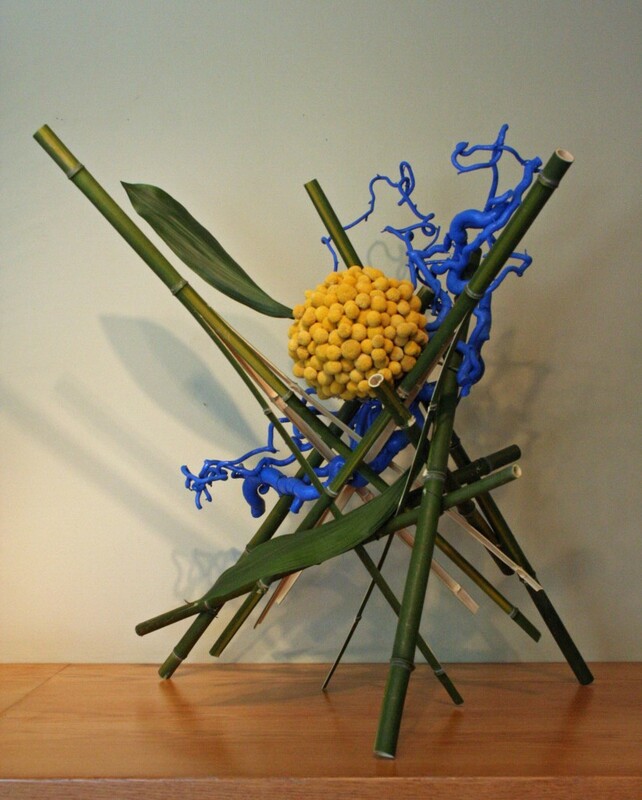 All of the ikebana arrangements are on view from 10AM until 4PM thru Monday, April 21. 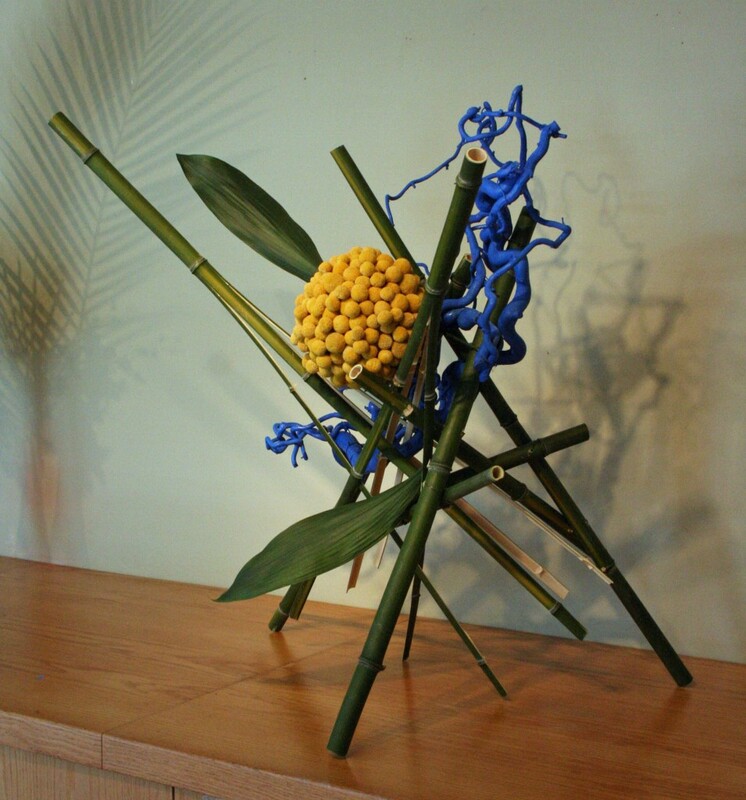 At the exhibition you can see the piece I did using bamboo, colored contorted filbert branches, craspedia, mosses, and aspidistra leaves.